American indie rock troupe The Shins, who have not performed since 2013, announces that they will be making a comeback into the music world, after teasing a new album earlier in February, the rock group have officially decided that after three years on hiatus, it is time for them to return to the stage that they rocked so well, and announced earlier today that they will be headlining End of the Road music festival this upcoming September, joining the likes of Joanna Newsom, Animal Collective, Cat Power, and many other strong names in the indie rock community. 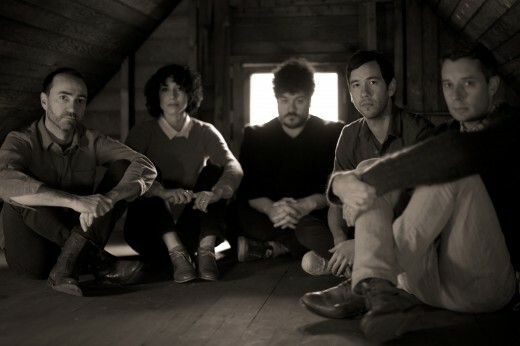 Comprised of James Mercer (vocals, guitar, songwriter), Joe Plummer (drums), Jessica Donson (guitar), Yuuki Matthews (bass), Nick Teeling (glockenspiel), and Richard Swift (keyboards), this Portland based indie rock band, that formed in 1996, has not seen a stage in three years. Ever since their breakup in 2008, when Mercer chose to leave the band due to ” an aesthetic decision” where Mercer had claimed in a 2012 interview that “Mainly I was tired of being right in the middle and everything sort of revolving around me, including the friendship dynamics-slash-bandmate dynamics and the creative aspect,” and took a breather from The Shins in the form of creating his side project Broken Bells, collaborating with Brian Burton (or Danger Mouse as he is more known) in an excellent way with Shin’s inspired electro-folk-rock. Mercer went on to tour with an all new backing band, which included fellow songwriters Jessica Dobson and Richard Swift, whilst also recruiting Modest Mouse Drummer Joe Plummer, and Yuuki Matthews from the Crystal Skulls. Now, after several years of not seeing any stage, Stereogum released that the group has decided enough is enough and it is time to give fans what the want, booking to headline End of the Road festival in Dorset, UK, the band is looking to come back with a force. Currently they are also working on their follow-up album to their 2012’s Port of Morrow, with the hopes of a full tour that fans will be able to once again rock out to these indie legends.